MMM: Moniker wine. Mendocino region. Morrell Wine Bar pork tacos. 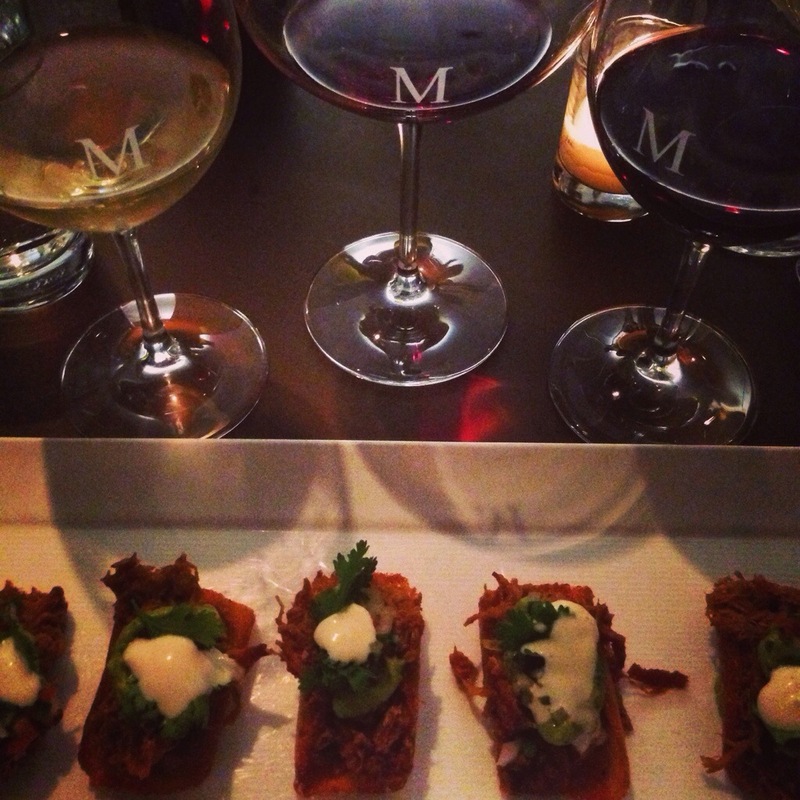 Tags: cabernet, chardonnay, food & drink, mendocino, pinot noir, wine. Bookmark the permalink. Another great Mendocino Vineyard is Kimmel! Try their 4 Blocks Chardonnay…DE-electable. Jason Kimmel one of the youngest of the 4 generations of the family working for the winery is actually a dear guy–friend of mine! Excellent – haven’t heard of it but will look for it. Cheers!